I had a bad time management day yesterday. Chris and I didn’t have dinner until almost 9:00 p.m.! 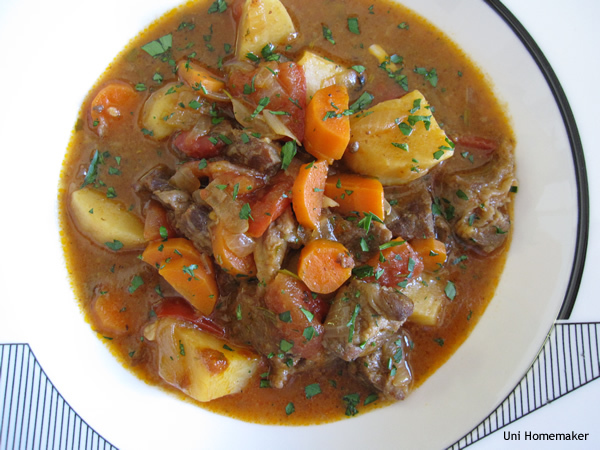 But this stew was well worth the wait. We had it over garlic rice. Bon appétit!